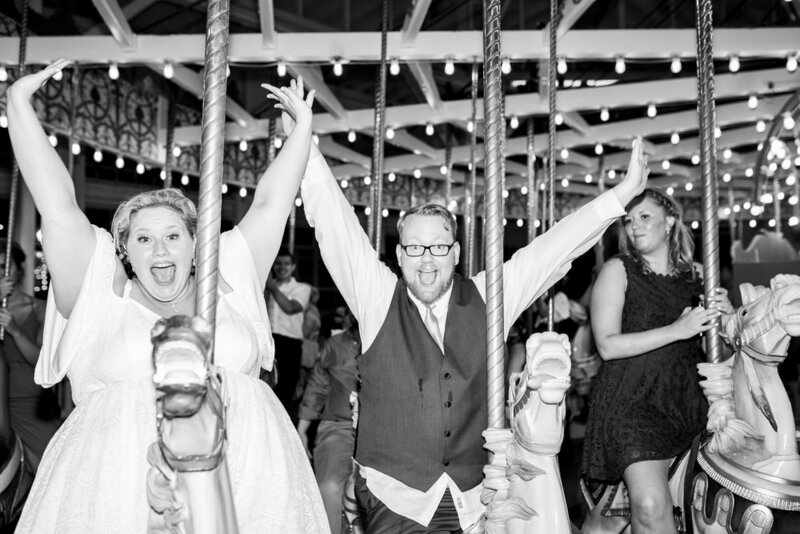 Welcome to The Big Bride Club, where plus size brides plan to tie the knot. Theresa and Bobby went to elementary, middle, and high school together. Bobby was in band with Theresa’s brother so they were “aware” of each other, but they were not friends. After college, their mutual friend, Donald (who later officiated their wedding), got them both involved in a local production of Gilbert and Sullivan's, "The Mikado." After rehearsals, Donald, Bobby, and Theresa would grab dinner and drinks and just hang out. They did this for about a month before things took a leap out of the friend zone. You can find Theresa on Instagram @mybigfatblondemusical. After that first kiss, the two lovebirds saw each other every day and a month later they decided to move in together. “Falling in love with him was so sweet,” said Theresa. For the proposal, Bobby came prepared. He created a guided audio tour around Stamford, Conn. to recreate some of their important relationship milestones. His tour included very detailed directions with a hilarious narrative about their relationship. It took them past all their old haunts: the path they took while carrying Bobby’s mattress over their heads to their first apartment, the apartment itself, the froyo spot they ran to in the middle of a snow storm, and, most importantly, the statue where Bobby first told Theresa that he loved her. Theresa laughed and hugged him and then "La Vie en Rose" began playing. Theresa looked around for the source of the music and she noticed someone filming them. She looked back around at Bobby and he was on one knee, with an open ring box. He simply said, "Be my wife forever?" Theresa started bawling and she was so surprised she could only nod. When it came time to plan the wedding and find the venue, the couple looked at a looked at a quite a few places in Los Angeles, where they now live, but did not find anything they loved and everything was so expensive, because LA. Theresa did not want to break the bank and cost was very important to them. 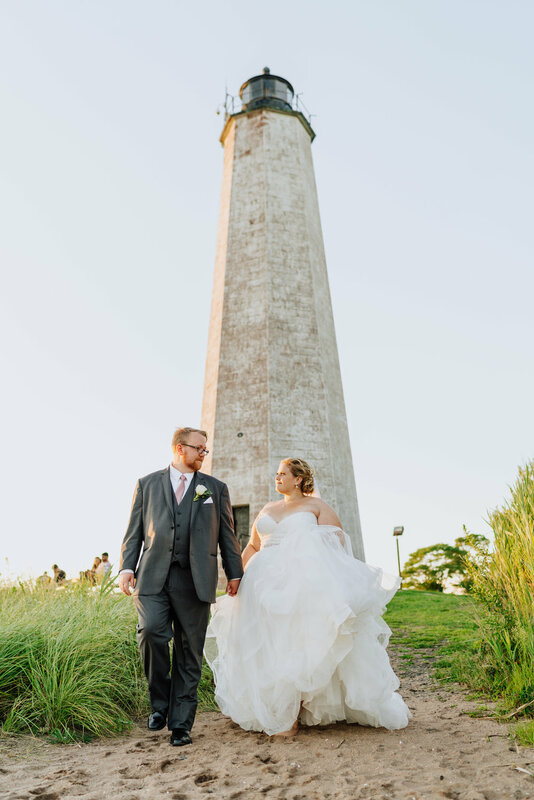 So the couple switched gears and googled, “Lighthouses in Connecticut,” which is how they found the Carousel at Lighthouse Point Park. 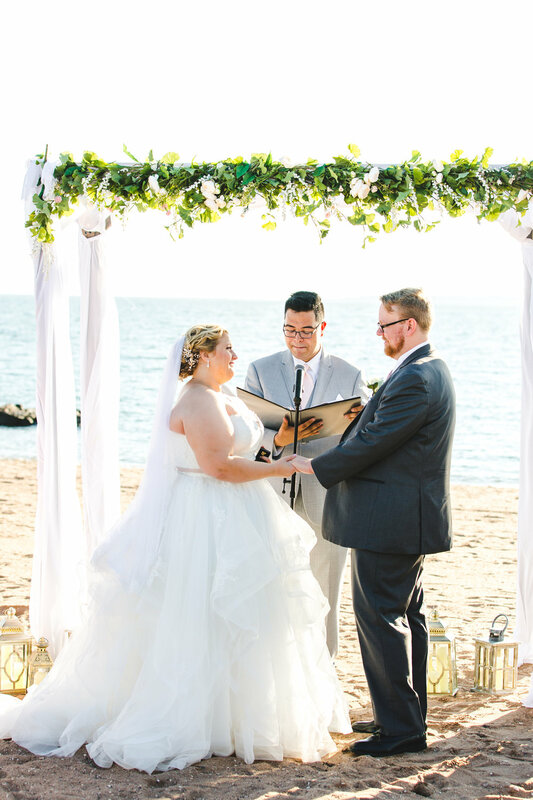 On August 4, 2018 in front of 100 of their family and friends, Theresa and Bobby married at the Lighthouse Point Park in New Haven, Conn. The reception hall came decked out so the couple did not have to worry about adding too much themselves. 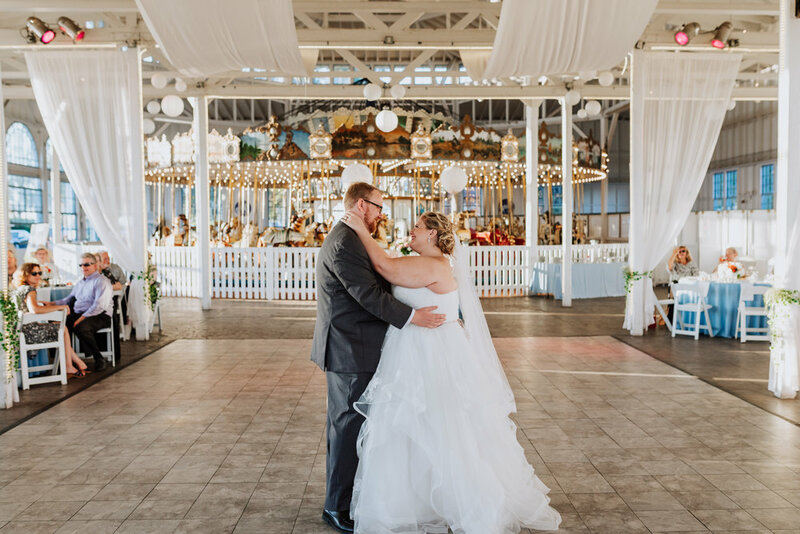 There were string lights all over, plus the lights from the carousel filled the venue with a warm glow. The venue also installed beautiful floor-to-ceiling white drapes that made everything feel light and airy. 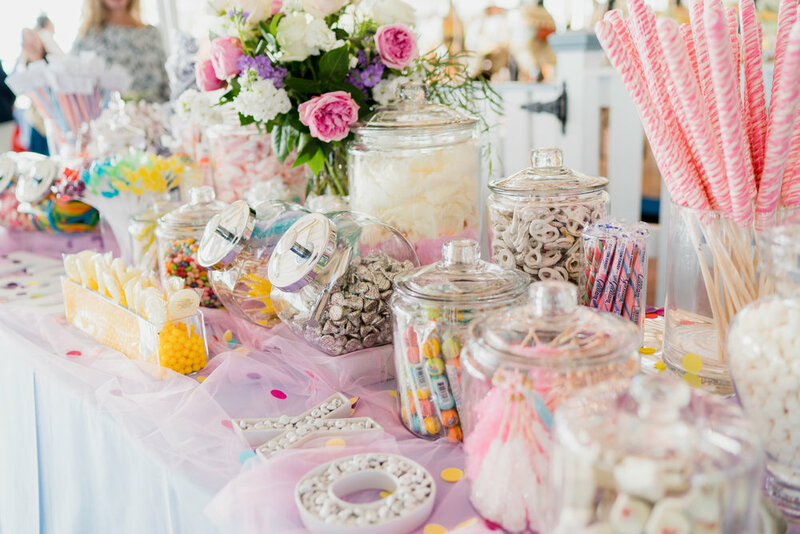 Features that Theresa and Bobby knew would wow their guests were the carousel and the glorious candy table. Theresa DIY’d the hand-lettered seating chart onto a long acrylic sheet, which was held up by two wooden easels with ivy at the bottom. 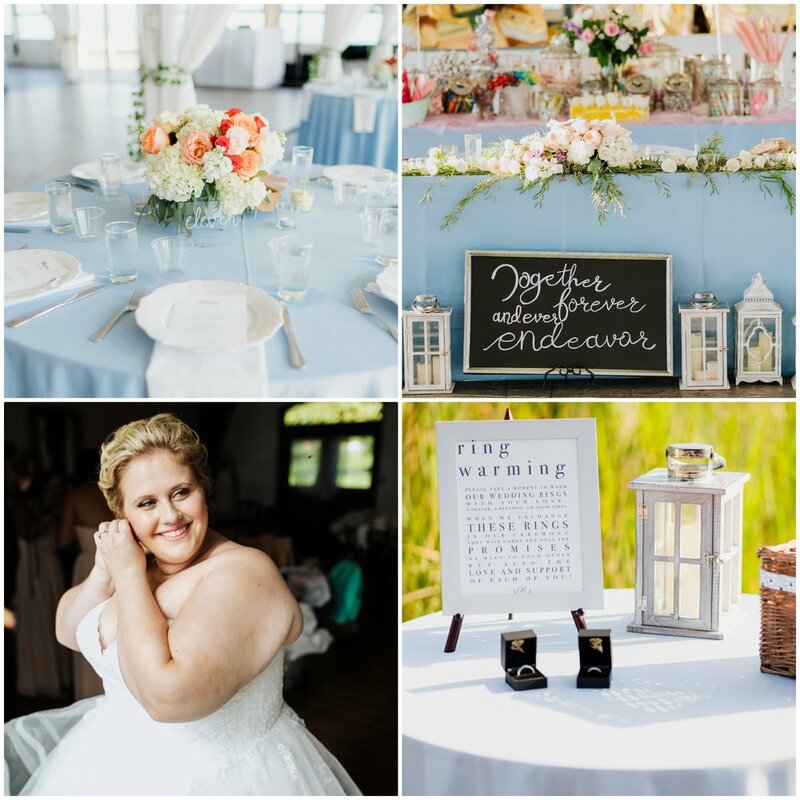 They chose ice blue table cloths to match the trim of the reception hall. A friend of Theresa's mother did the floral design. Theresa simply told her the colors she liked and sent her a few pictures and then stepped back and let the artist work. As a fun activity while the bridesmaids were getting ready, Theresa had them arrange their own bouquets. It was a great idea that culminated with beautiful and personal arrangements. The couple was also able to bring costs down and keep under their $30,000 budget by using their own caterer and having friends bartend. 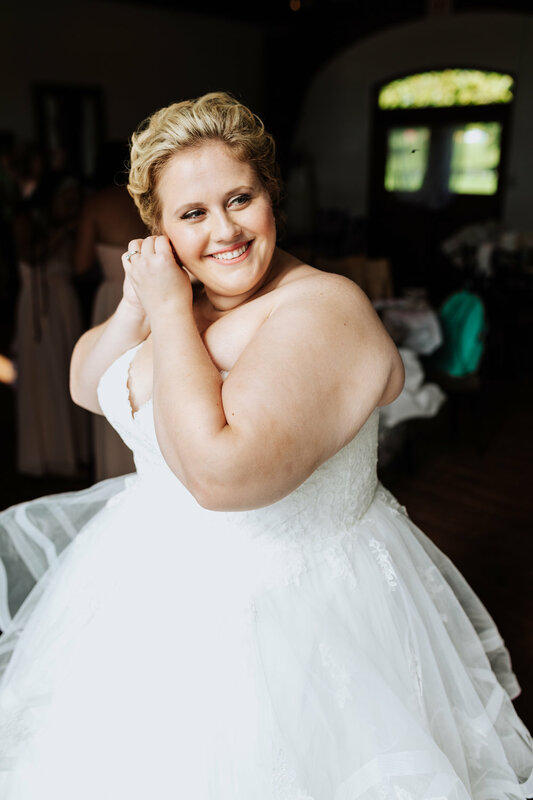 Theresa purchased her ceremony dress from the plus-size bridal salon Della Curva in Tarzana, Ca. and her reception dress was from the beloved fat girl staple Torrid. 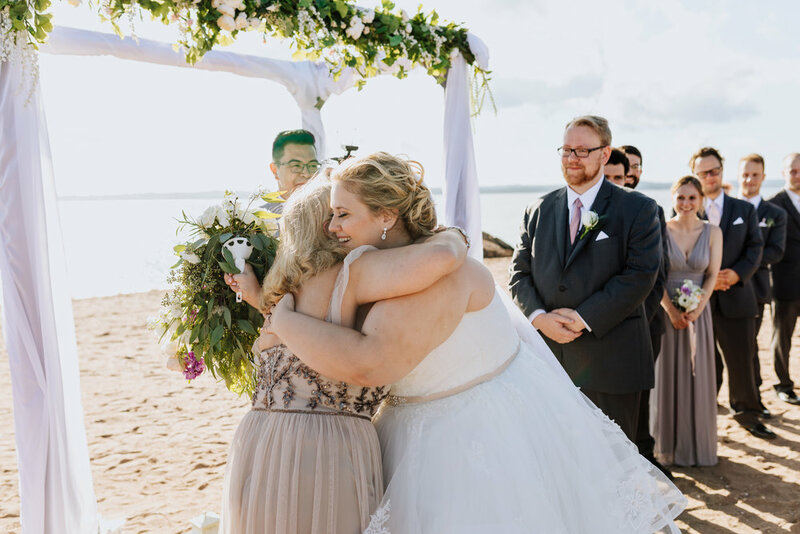 At sunset, as dinner was being served, Theresa ran outside onto the beach with her two maids of honor to watch the sunset. This spur of the moment excursion led to one of the most memorable parts of the day and some of the most stunning photos. 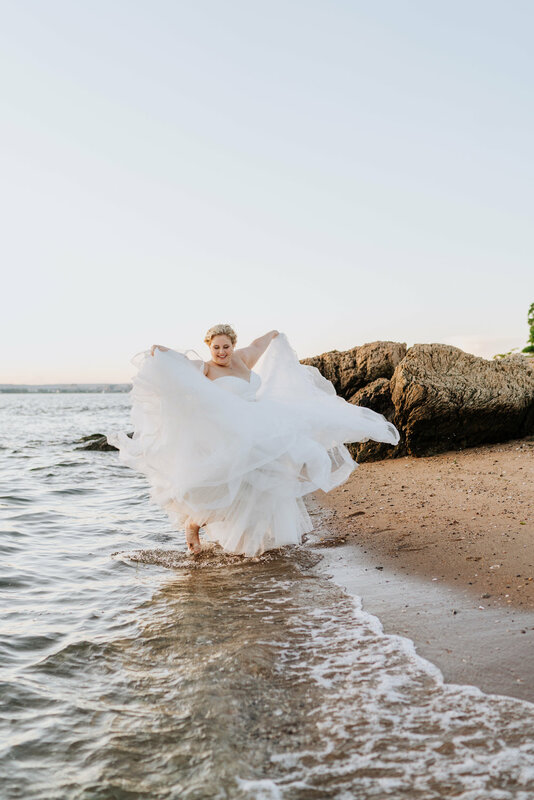 “I knew I was going to change into my second dress so I went into the water with my first dress on,” said Theresa.